What Business Would Your Customers Say That You’re In? 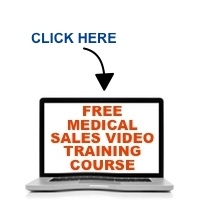 Medical sales professionals see themselves as wearing many different hats. Most people, including your customer, really have no idea as to what your entire day is like. Your customers often see you in the way that you engage them most regularly. So, what business would they say that you’re in? In this podcast episode, I discuss the answer to this question along with a reminder to the “other business” you had better be in as well.